The iPhone X has seen Apple moving from fingerprint sensors to advanced 3D face recognition sensors, and if a new report out of Asia is to be believed, Android manufacturers are going to follow the same path as 2018 unfolds. A report in DigiTimes says the likes of Huawei, Oppo and Xiaomi are working on some 3D sensing technology of their own, the advanced face scanning cameras that make Face ID so accurate (and that make those Snapchat lenses so realistic). Citing "industry sources", the article says the suppliers who build the necessary technology are getting a steady stream of incoming orders, which means you can expect to see the same forward-facing scanning happening on many an Android flagship next year. 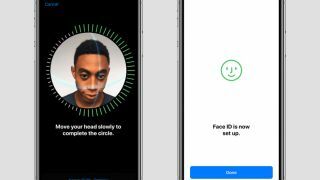 While iris scanning and face unlocking has been available on phones for several years, the TrueDepth front camera fitted to the iPhone X marks a step up in terms of accuracy and precision - according to Apple, there's a one in a million chance of a random face beating Face ID (compared with one in 50,000 for Touch ID and fingerprints). Now it seems like Android manufacturers are eager to get the same technology installed on their own phones. We've already heard rumors that Samsung is planning to fit a 3D sensor into the front camera on the Galaxy S9 due out next year. With Qualcomm working on more advanced sensors of its own, it looks like 2018 is going to be another good year to buy yourself a new flagship smartphone - and chances are it's going to have some kind of advanced face unlock technology, no matter which manufacturer you decide to go with.